Verizon's multi-billion dollar plans to purchase mobile spectrum from US cable companies is under threat after rival network T-Mobile appealed to the FCC to block the deal. Verizon agreed to pay $3.6 billion to buy more of the mobile airwaves in December, in a deal which involved Comcast, Cox Communications and Bright House Networks. 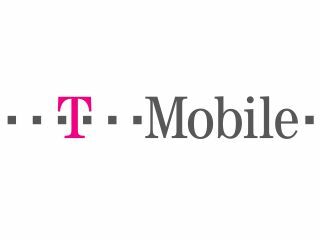 However, T-Mobile, still reeling from the collapse of its planned merger with AT&T, thinks the deal will dampen competition by giving Verizon an "excessive concentration" of the in-demand mobile spectrum. It has filed a complaint to the Federal Communications Commission saying the purchase would allow Verizon "to accumulate even more spectrum on top of an already dominant position, while checkmating crucial avenues for growth of its smaller competitors." T-Mobile's view that Verizon is threatening fair competition in the mobile industry comes in direct contrast to its own struggles with anti-trust bodies in recent times. T-Mobile and AT&T lobbied to convince regulators that its merger would not dampen the ability of its rivals to compete with the proposed super network. That fell through in December 2001 when AT&T walked away from the deal following the widespread opposition. T-Mobile has to hope that the FCC takes a similar stance, this time in its own favour.